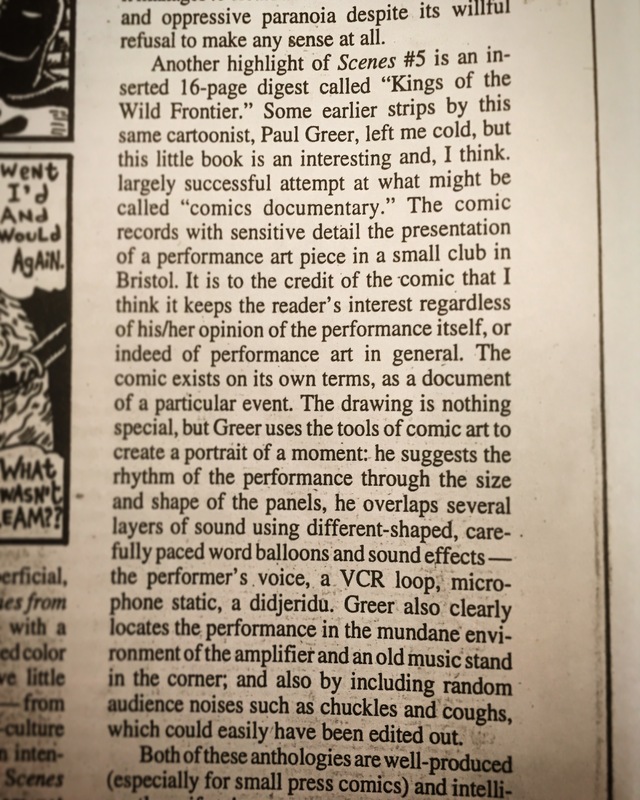 Having a home holiday and digging around in the files, came across this cutting of when Scenes From The Inside, an anthology comic I was involved with in the ’90’s, got reviewed in the illustrious Comics Journal (kind of a Cahiers du Cinema for picture literature for those unfamiliar). They talk about my 20 page insert “Kings of the Wild Frontier“, which was a documentation of the final performance piece by Bristol artist, Dan Eastmond. The Comics Journal had a tough reputation, so being reviewed there and not getting completely mawled by them was quite the thing.